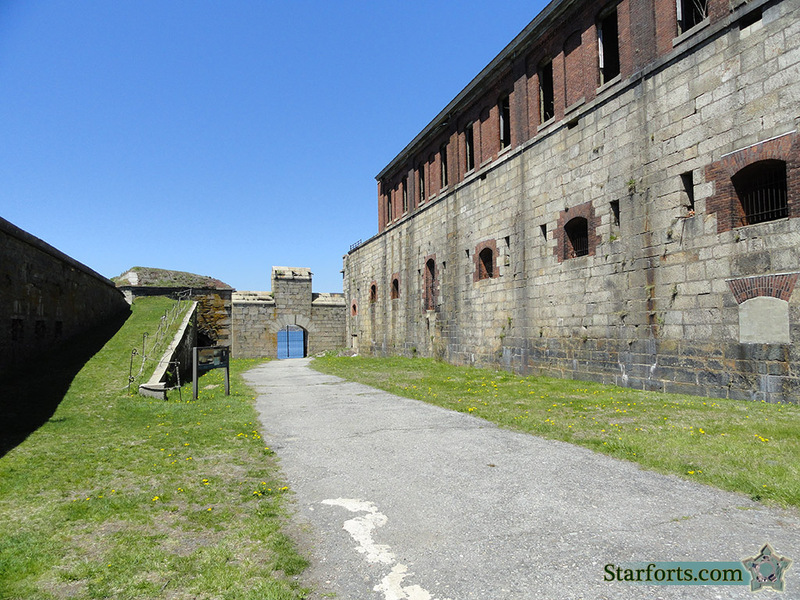 The southern sally port leads here, to the space betwixt the fort proper and the glacis, which protects Fort Adams' landward approach. The gate we see above faces the Narragansett Bay to the west. The opening between the fort and the glacis was intended to be a slaughterhouse for any attacking party that had innocently wandered therein: The ground was sloped so that the river of blood pumping from those holed attackers could wash safely and hygenically out into the bay. Note the ramp to the left: This is the way to the top of the glacis.